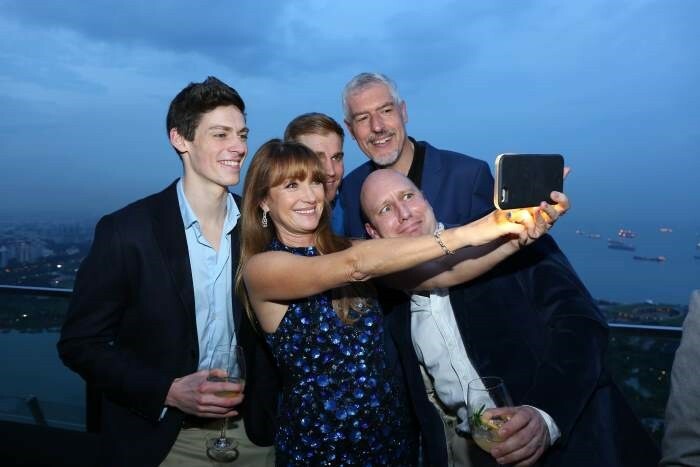 The World Of Diamonds Group has crafted an extraordinary 2.08 carat Fancy Vivid Blue Diamond ring in platinum and plated with rose gold, to celebrate Jane Seymour’s accomplishments in the film industry. Blue diamonds of this saturation have been known to fetch over USD 2,000,000 at Sotheby’s and Christie’s in the past, however, this ring is priceless and has been created for the Group’s private collection. 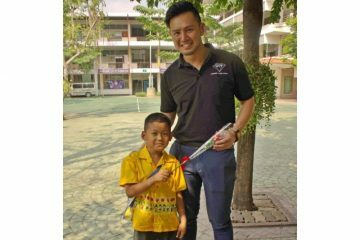 The creation reflects the power celebrity who has clinched an Emmy Award, two Golden Globe Awards and a star on the Hollywood Walk of Fame. 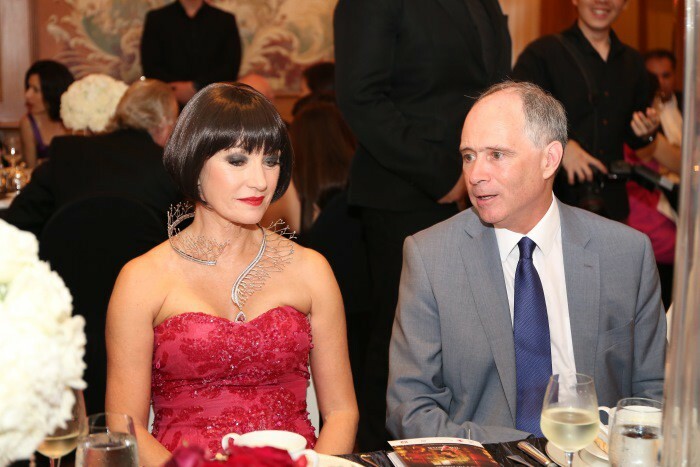 Seymour had the pleasure to gracefully wear the 2.08 carat blue diamond ring, The Jane Seymour, during an extravagant 12-course gastronomic Modern Asian dining experience at CÉ LA VI Singapore. 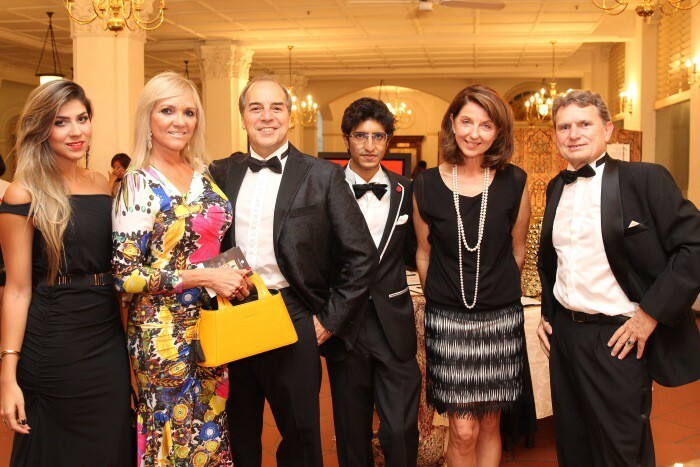 Kirk Martin, CEO of CÉ LA VI Group, added “We are pleased to be the choice for this celebration and for having partnered World Of Diamonds Group for an exclusive evening, showcasing a customised Modern Asian degustation menu especially designed by Executive Chef Frederic Faucheux, paired with our finest wines that Head Sommelier Michael Leitner had tastefully selected”. 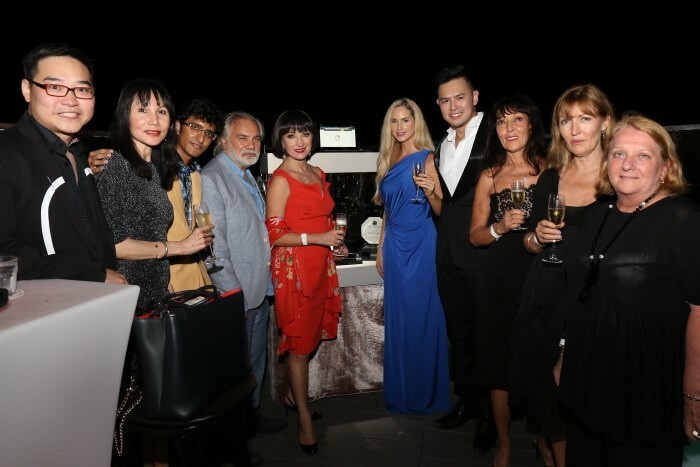 After the dinner celebration, the beyond rare blue diamond ring retreated to a vault as part of World Of Diamonds’ private collection. 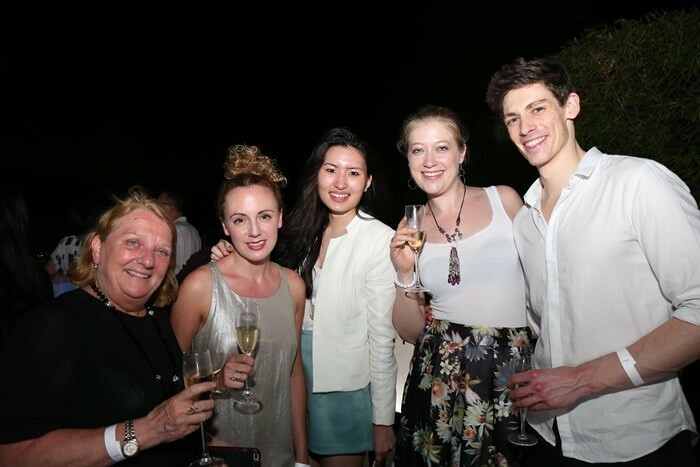 Held at the iconic Raffles Hotel, World Of Diamonds Group was the presenting sponsor of British Theatre Playhouse’s production, The Vortex at the ‘Art for Charity’ gala evening. 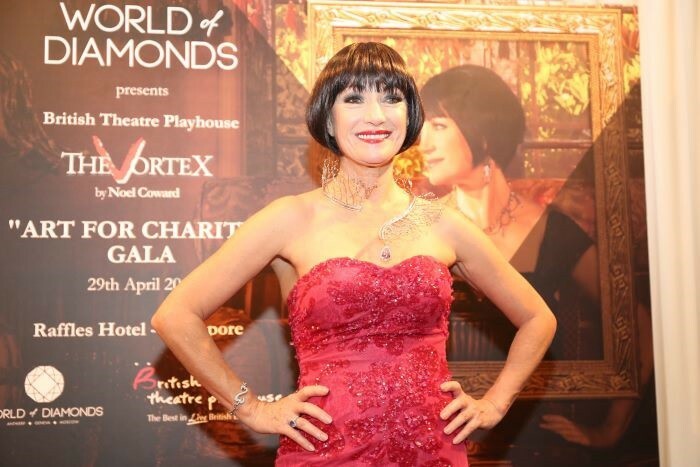 Seymour received all the limelight from walking down the aisle from the Jubilee Hall Theatre to Raffles Ballroom for a grand dinner – themed ‘Great Gatsby, Red Carpet Glamour’, wearing the Ville de Genève diamond necklace – including a 18.18 carat Fancy-Vivid Pink diamond, from World Of Diamonds Group, valued at nearly SGD 33,000,000. 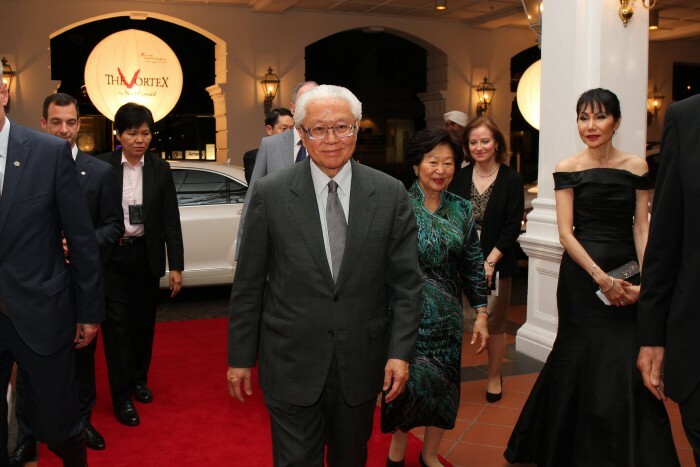 The prestigious and exclusive evening was graced with the attendance of prominent individuals from high society and including President Tony Tan & Mrs Mary Tan, the EU Ambassador to Singapore Dr Michael Pulch & Mrs Gabriele Pulch, British High Commissioner Mr Scott Wightman & Mrs Anne Wightman. 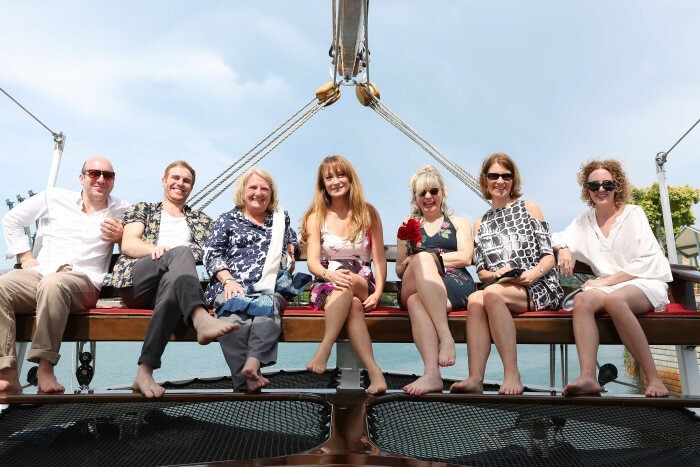 Hosted by World Of Diamonds, Royal Albatross and Resorts World Sentosa, a 4-course degustation menu by Osia Bar & Restaurant’s Celebrity Chef was set out on a Luxury Tallship Charter Royal Albatross from 12pm to 3.30pm with the display of The Jane Seymour. 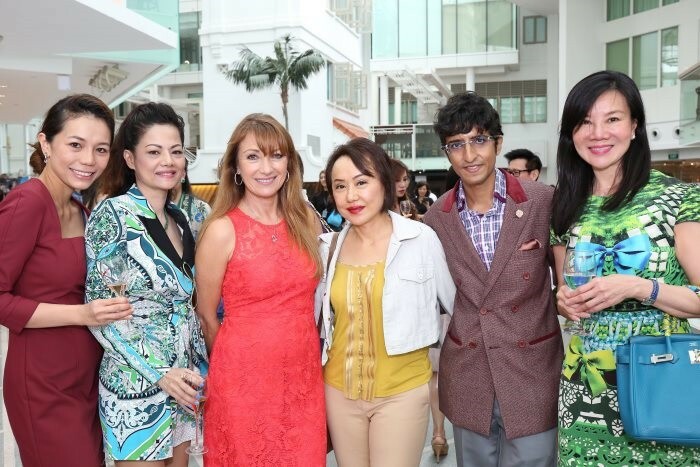 Hosted by the World Of Diamonds Group, an exclusive lunch was held in celebration of The Vortex at Angelina, Capitol Piazza. 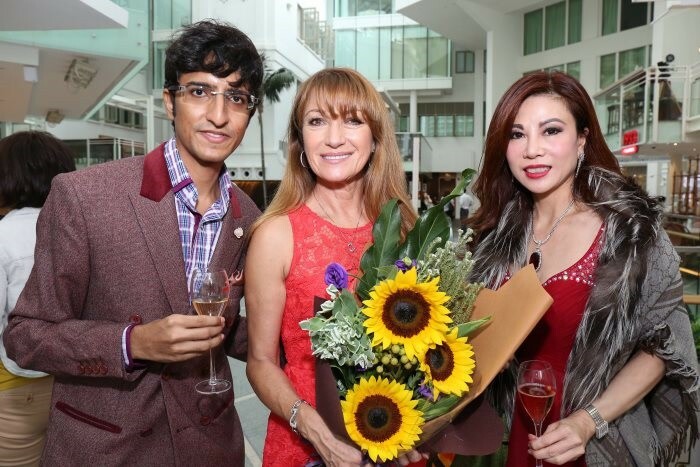 Among those in attendance were society friends including Cheryl Lee, Grace Kong, Ginny Chew, Group Director of World Of Diamonds Karan Tilani, and British-American A-list celebrity Jane Seymour, OBE. 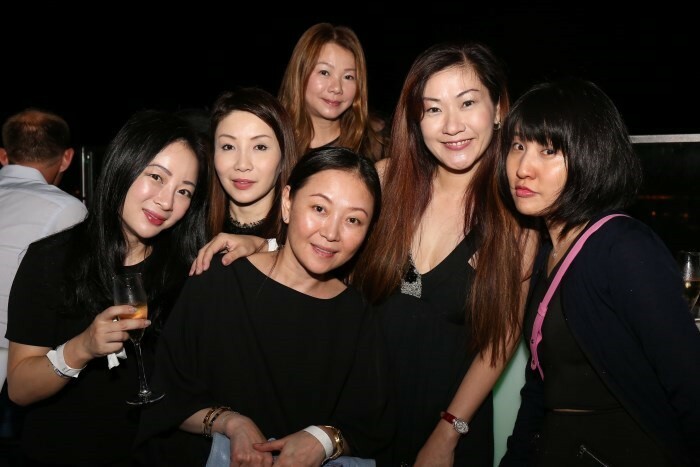 While being charmed by the exclusive ambiance of the sophisticated salon, guests indulged in a five course degustation menu, along with fine G.H. Mumm champagne pairings and Martell Cordon Bleu. 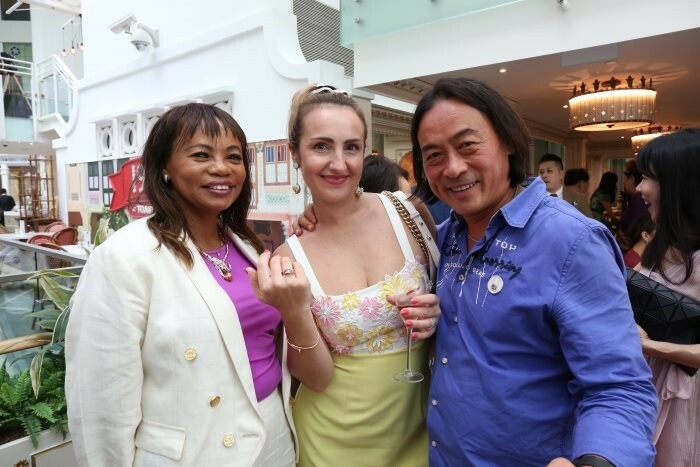 Also on display for the afternoon was The Jane Seymour, a 2.08 carat Fancy Vivid Blue celebrity diamond ring crafted by the World Of Diamonds Group for its private collection. After-Dinner Party. 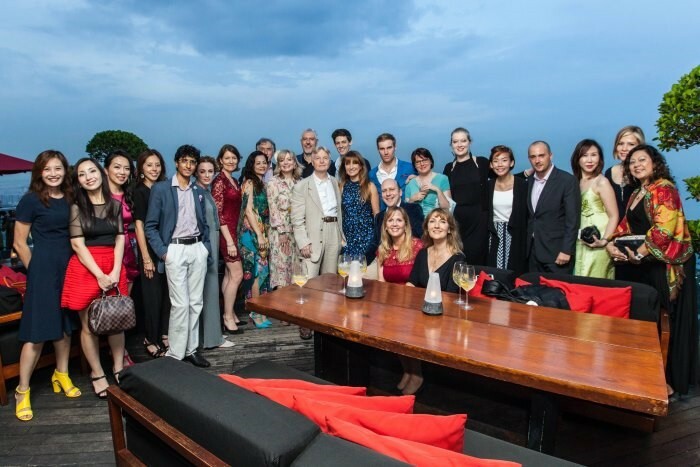 World Of Diamonds Group & 1-Altitude celebrated the tremendous success of British Theatre Playhouse’s production, The Vortex, at the world’s highest al-fresco bar. 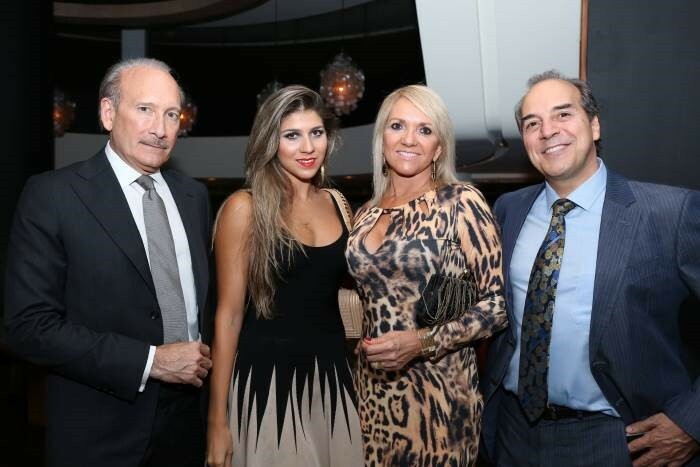 In attendance were society friends, The Vortex star-studded cast members from London, and including Jane Seymour OBE and her partner, David Green. 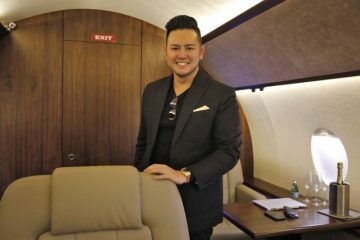 While guests enjoyed copious amounts of champagne and generous platters of tapas, The Vortex will be the talk of the town for many months to come.